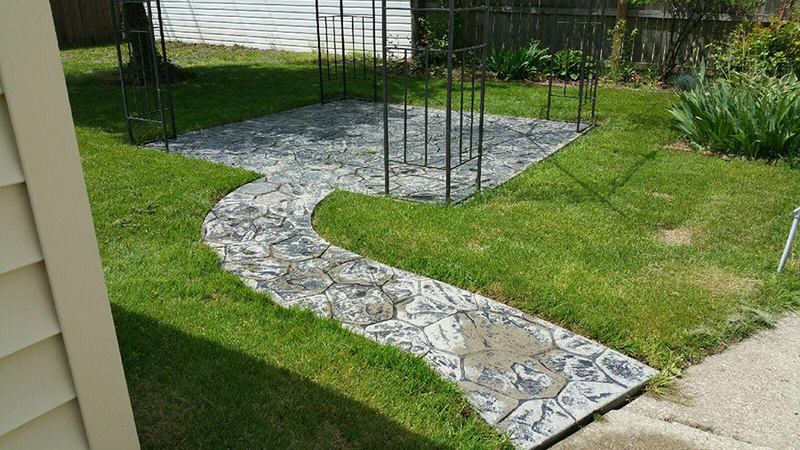 If you have decorative concrete, you may be wondering why you have to use a sealer. Are sealers really worthwhile or just something professional builders and installers push onto customers? The truth is, sealers are vital to the health of your concrete. You may look at it as an extra expense now, but with less maintenance and repairs over the coming years, you will thank yourself for choosing to seal your concrete. The average concrete surface is exposed to all manner of conditions over the years. From fluctuating temperatures to the hazards of daily use, the composition of your concrete can weaken over time, causing cracks and other damages. By sealing your concrete, you can protect it from cracking, staining, and deteriorating before its time. A good sealant will enhance the safety, appearance, and performance of your exterior concrete surface. These positive effects make it well worth the cost in the long run. Safety should always be your number one consideration when undergoing any home improvement project. This is especially important when choosing a sealant for an area that receives a lot of traffic, like a driveway or patio. There is no doubt that sealed concrete can be slippery when wet or greasy. Slipperiness is determined by the amount of texture in the concrete, combined with the thickness of the sealer. Typically, the more sealer resin that’s on the surface and the shinier the surface is, the greater the potential for a slippery surface. However, many contractors will add a slip-resistant additive when sealing outdoor surfaces that may be exposed to wet, greasy, or oily conditions. For the ultimate in safety, you can also consider using a penetrating waterproofing sealer rather than a film-forming product. A penetrating sealer produces no gloss and will not contribute to the slipperiness of the concrete surface. When you lay concrete, you want it to look good for as long as possible. Sealing an outdoor area is the best way to minimize color changes from the sun’s UV rays. Unsealed concrete will fade in a matter of months. Aside from color fade, you will also be left with watermarks and stains that penetrate and leave ugly spots. With a sealer, you get so much more than protection from the elements. Driveway sealants are similar to paints in that they are available in gloss, semi-gloss, matte, and satin finishes. Choose film-forming sealants to bring out the color of your concrete or a matte sealant to give your driveway or patio the look of natural stone. For an invisible look, try out a chemically reactive sealer. A water-based acrylic resin is another option that, with moderate color enhancer added, will leave your surface with a beautiful satin finish. It is no surprise that the elements are the number one enemy of concrete. Mother Nature pounds the surface with rain and snow, then sends fluctuating temperatures. If your driveway is left unsealed, water can penetrate the pores of the concrete setting the foundation for freeze-thaw damage. Without this extra layer of protection, concrete will absorb moisture and may begin to crack, spall, flake, and discolor. There is a good chance that your concrete will fail prematurely. By reapplying sealer every few years, your concrete surface will be protected and last much longer than if it was left unsealed. In general, picking a sealer to use on a concrete driveway/walkway is a balance of aesthetics and performance. Keep in mind that choosing the right sealer and applying it properly will extend the life of your concrete and keep it looking great for years to come, so you should buy the best product that best meets your budget. Regardless of the sealer used it must applied properly. Contact Bravo! Buffalo today for your free estimate!